No one likes to have scars and especially those which are noticeable to others. However, visual disfigurements are just one of the problems they can cause the victim. Depending on the type of injury and the severity of the healed wound, scars can create other problems too. Some will cause pain and itchiness while others may even restrict movement. For these reasons, a lot of people look at surgical options that can help with scar removal. Singapore cosmetic clinics can offer workable solutions in this area. Singaporean surgeons are very skilled and experienced at treating all kinds of skin defects. What treatment is best for the patient will all depend on the type of wound and their expectations. It’s also important to point out that there is no such thing as “scar removal” per se. In almost all cases treatments can make them much less visible. In some people, the scarring may appear invisible to others after treatment. The actual scar will still be there, to a certain degree at least, it’s just that it’s well-disguised. Let’s take a look at each of these treatments and what they offer to patients. 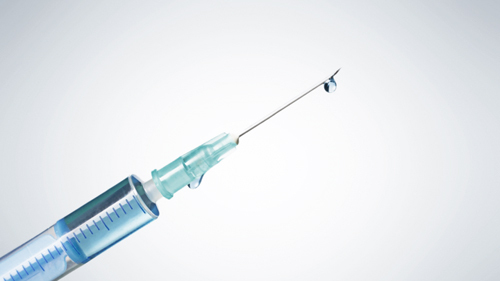 A cortisol shot is a special type of injection. In some cases it can help to reduce inflammation and the appearance of the scarred area. This works best for hypertrophic (raised) and keloid (tissue overgrowth) type of wounds. The surgeon administers a series of small injections into the actual scar tissue and surrounding area. The aim of this treatment is to flatten the scar and reduce any swelling or inflammation. In some cases the surgeon may need to repeat the process. Initially this is an ongoing treatment, repeated on three separate occasions at 4 – 6 week intervals. What this does is allow the doctor to observe the response of the patient’s body to the treatment. If there are notable improvements the cortisol shots may continue on for several more months to achieve the best results. These are injectable fillers that are used a lot these days in cosmetic procedures. For treating scars, they can “plump up” any pitted marks on the affected skin thus smoothing out the area. The downside to dermal fillers is that they don’t offer a permanent solution. That means you have to repeat the treatment to keep the effect. A lot of people find this impractical and unaffordable in the long term. Some will use it as a one-off treatment before going on holiday for example, or before a wedding day where there will be lots of photos taken. The options here are laser therapy or light therapy. The latter uses pulses of light. The idea behind these treatments is to reduce any redness in the scar tissue. It works by targeting the actual blood vessels inside the scarred area. Laser re-surfacing surgery can prove effective on some pitted scars by flattening the scar tissue. 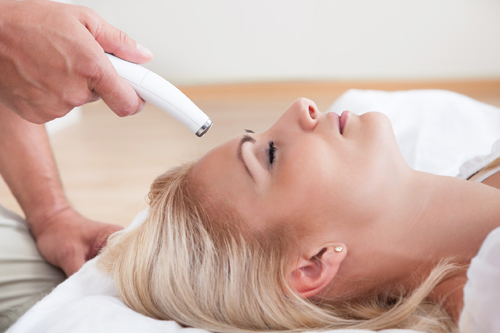 In the case of pitted scars, the laser removes the top layers of the affected skin. These are what stimulate the production of collagen in the skin’s deeper layers. All forms of laser treatment are unpredictable. That means there are no 100 percent guarantees that they will work. It’s crucial that the person performing these treatments is both qualified and experienced. Also make sure that their laser experience includes improving scars. There are special makeups designed specifically for covering up unsightly scars. We refer to this as cosmetic camouflaging. A lot of people with facial scars find these makeups to be particularly useful. Most of the products are waterproof. Unlike conventional cosmetics, camouflage makeup can stay in place for two or even three days at a time. Some people, who have had other treatments to reduce the visible signs of their scars, find these makeups invaluable. They use them to make their once unsightly marks totally invisible to others. In most countries, these products are available over-the-counter. The secret behind the effectiveness of scar makeups is colour testing. You will want a qualified person to help you match the makeup to your skin type. This may only take five minutes or it could take an hour or more, so allow some time for this just in case. The main purpose of a good pressure dressing is to soften and flatten the scarred area. The most common use of pressure dressings is after skin graft surgery or to treat burn scars, especially large burns. The person usually wears these stretchy dressings around the clock for anywhere between 6 – 12 months. In most cases, this treatment is under the supervision of a qualified practitioner. This is a treatment that has about a 70 percent effect rate. Superficial radiotherapy (low-dose) works by reducing the recurrence rate of both keloid and hypertrophic scars after surgery. Doctors will not give this treatment out on request as it’s not a standard procedure in cosmetic surgery. The reason for this is because there is the potential for longer-term, unpleasant side-effects. Therefore, doctors reserve radiotherapy treatment for scars for only the most serious cases. You can usually find these for sale over the counter. Silicone sheets and gels treat skin that is still in the healing process. You must not use them to treat open wounds (important). Using sheets and gels can help to reduce any redness and also work to minimise the visible appearance of either keloid or hypertrophic scars. Most doctors will suggest wearing silicone sheets and gels for at least 12 hours each day for a period of three months or more. The downside to scar surgery is that it will leave a new scar to replace the old. This new scar may take anywhere up to two years to settle before you get to see any notable improvement in its appearance. There is always the risk that the new scar will look even worse than the old. For these reasons, it is absolutely crucial that you have an experienced surgeon perform any type of scar surgery. In some cases, the right treatment can make an unsightly scar invisible to others. Even in situations where it’s not possible to make the scar appear invisible, there are always options to make any scar less noticeable.